Wymara Ltd. on Monday announced a new brand, Wymara Resort and Villas, a beloved escape set against the panoramic seascape of Grace Bay Beach in Providenciales, Turks and Caicos Islands; ushering in a new year and a new era for the luxury resort and newly-unveiled oceanfront Villas on Turtle Tail. 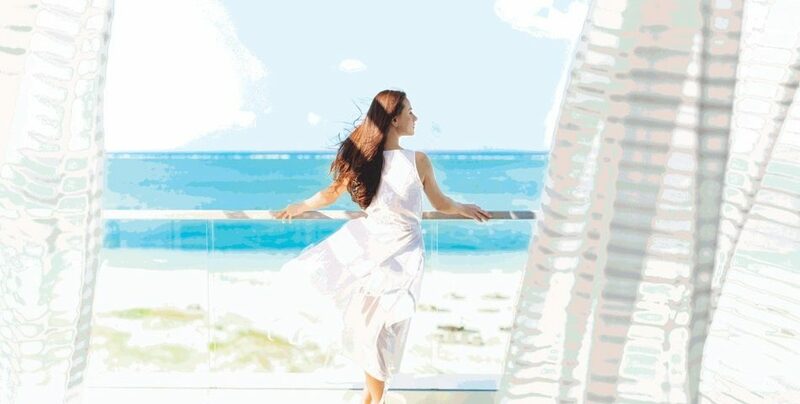 The resort and villas, formerly known as Gansevoort Turks + Caicos, remain fully owned and managed by the original developers of the resort, Wymara Ltd., and guests will enjoy a continuation of the warm hospitality, attentive service and amenities the resort is known for. Wymara Resort and Villas is a chic and intimate retreat that captures the prestige, pristine beauty and spirit of the Turks + Caicos Islands, blending a contemporary resort design with sophisticated service. The resort is located directly on the most private western end of Grace Bay Beach; one of the world’s most coveted beaches. Wymara guests are invited to experience luxury on their own terms and discover all that Turks & Caicos Islands has to offer. The seasoned team will help guests live out their ideal holiday in paradise, whether it’s diving into, or setting sail on the crystal-clear waters of the Turks and Caicos Islands, enjoying inventive island cuisine, seeking out wellness experiences at the Spa, or simply relaxing with their loved ones on soft white sands or by the stunning 7,000 square foot infinity pool. Along with its redesigned beachfront restaurant, Zest, and wildly popular rosé wine and blush champagne-themed Pink Bar, which sits directly on the sand, Wymara has introduced seven spectacular new villas on Turtle Tail Bay, located just 2.5 miles away from the resort. The extraordinary four- and five-bedroom villas are each located on about half an acre of elevated hillside overlooking the southern shores and Caribbean Sea and feature two private pools, expansive indoor-outdoor living areas, a sunken outdoor fire pit lounge area, over-the-water swimming platforms with direct ocean access, and incredible services and amenities, including access to the resort’s beach, restaurants, bars and spa. The resort’s ideal location on the world-renowned Grace Bay Beach, recognized as “Best Beach” by Condé Nast Traveler magazine and “Best Beach in the World” by TripAdvisor, invites guests to enjoy the crystal-clear turquoise waters and pristine white sand beaches of Providenciales. The island boasts the third largest barrier reef in the world, rich in aquatic life, and offers countless opportunities for watersports such as kayaking and paddle boarding, as well as exceptional diving. © 2018 Destination Turks and Caicos. All Rights Reserved.